When asked what super power they’d most like to have, many respondents undoubtedly choose flight. The dream of being able to launch yourself into the sky at any given moment is undeniably strong. Games have been granting that power for years. Some do it with more grace and success than others, but when done well (NiGHTS I’m looking at you) can really offer a powerful experience that’s remembered for years. However, for every game that nails the controls and the feeling of flight, there’s a handful that crash and burn. With The King’s Bird we get a bit of both worlds. At times I found myself soaring along with the grace and finesse of an eagle until my fingers got all twisted around my Pro Controller and I inevitably smashed into an obstacle. If you like frustratingly difficult platformers where it never quite feels like it’s your fault for dying, than this one’s for you. Over the last decade or so we’ve gotten some really artsy video games. I’m not just talking about beautiful visuals, but actual minimalistic concepts that really manage to evoke emotion. Some of my favorites along this line were on the PS3/PS4, including: Flow, Flower, and Journey. At first glance I thought The King’s Bird might fall into this category. It features striking graphics where the characters are silhouettes against solid color backdrops. There’s little to no story conveyed through text and instead there are various murals to look at and small tutorial snippets that show which buttons to press to proceed. I really liked the instrument sounds that played instead of voices. Indeed, for the first 20 minutes or so I was very impressed what the game had to offer and invested in what was to come. However, it soon became apparent that this game didn’t quite know what it wanted to be. When you play games like Super Meat Boy and Celeste, they are designed around impeccable controls and rock-hard difficulty. When you die in these games you know it’s probably no one’s fault but your own. They own their level layouts and have methodically designed each and every pixel to make sure the game is hard, but fair. I feel like The King’s Bird doesn’t quite know what it wants to be. Should it be a touchy-feely abstract artistic experience, or should it be a tough-as-nails action-platformer? It sort of touches on both, but does neither well. The biggest issue with the game lies in the controls department. Unlike AAA games like Super Mario Odyssey, the movement here is a bit sluggish and the scrolling can hitch now and again. The intuitive button presses found in successful games of this type are replaced with more complicated button holds and uses of the shoulder buttons to do things like glide across a ceiling. It feels like the game tries to marry a physics-based gameplay style with a side-scrolling action game and just falls short of succeeding. So many times I’d be running along, jumping from one spot to another and then have to fly over a bunch of spikes only to launch at just the wrong millisecond and end up flying into an area I had not intended. Luckily deaths and respawns are instant and there’s usually little backtracking, but I never felt one with the character. At any given time I was never 100% sure that she was going to do the exact moves I was trying to get her to do. This wasn’t some sort of learning curve problem, but rather something in the controls that would sometimes work and other times lead me to an unexpected death. As you progress through the various locales the game of course becomes even more difficult, but with more hazards and tighter corridors comes more restrictive platforming and flying. I was reminded a bit of Ecco the Dolphin on the Genesis. Anyone who has played that game will remember the opening area where you’re free to swim around and jump high out of the ocean and dive back down under the crashing waves. It was so fun to just move around, but similar to that game, the further I progressed the less exciting it became because the freedom was slowly stripped away as the levels became more challenging – relegating me to proceed cautiously. It’s sort of the opposite of some of my favorite games, like Metroid – where you begin frail and take things a bit slowly, but by the end of the game you’re a God with all sorts of new abilities and you can easily take out the enemies around you. There’s a sort of progression that feels great, but with this title it’s the reverse. The further I got into the game the less I enjoyed it. I do give the developers credit for allowing players to go into the options screen and tweak some things to make the game a bit easier. You can make these adjustments and the game is better for them. Allowing for things like easier flying adds to the enjoyment, but even then there’s so little in the variety of levels and objectives that after an hour or so with the game I felt like I had seen everything it had to offer. Of course I still pressed on, but beyond some nice visuals and a fun premise, the game just didn’t resonate with me like I had hoped it would. The King’s Bird isn’t a horrible game by any means, but it’s also not a good one. It’s worth considering for those up to a challenging platform experience with questionable controls, an unsteady framerate, and lacking story. 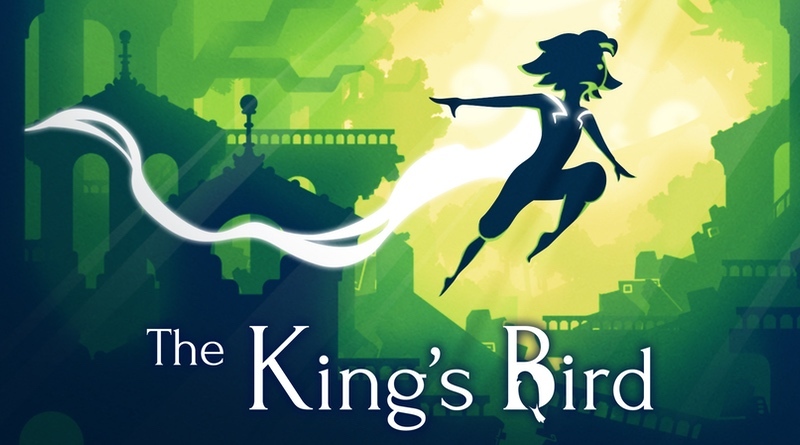 The King’s Bird could have been something truly special, but middling controls, average level design, and infuriating difficulty will leave many giving up on it well before the ending. Some will no doubt cherish the challenge, but most would be better served looking elsewhere.